When you use the Mobius service, we may collect and process information about your actual location, like GPS coordinates recorded and embedded by your mobile device into the image you submit (EXIF information). We may also use various technologies to determine location, such as IP address (Internet Protocol) geo-location and browser based geo-location. Mobius International, Inc. reserves the right to share Your Information to respond to duly authorized information requests of governmental authorities or where required by law. In exceptionally rare circumstances where national, state or company security is at issue (such as with the World Trade Center terrorist act in September, 2001), Mobius International, Inc. reserves the right to share our entire database of visitors and customers with appropriate governmental authorities. The site ("www.mobiusworld.me", all services and subdomains) is provided subject to these terms and conditions. PLEASE READ THESE TERMS CAREFULLY AS USE OF THIS SITE CONSTITUTES ACCEPTANCE OF THESE TERMS AND CONDITIONS. The video, audio, information, concepts, delivery mechanisms, artwork, text, or pictures (collectively, "Materials") contained on the Mobius International, Inc. are protected by copyright laws. You may only access and use the Materials for personal or educational purposes. You may not modify or use the Materials for any other purpose without Mobius International, Inc. s, Inc.'s. ("mobiworld.me") express written consent. Except as provided below, you may not reproduce, republish, post, transmit or distribute any Materials on the Mobius International, Inc. s site. You may print Materials on the Mobius International, Inc. for personal or educational purposes only, and you must include any copyright notice originally included with the Materials in all copies. Any audio or video content available from the Mobius International, Inc. websites is licensed subject to the terms of the applicable license agreement form the creators of its content. The Materials included on the Mobius International, Inc. have been compiled by Mobius International, Inc. from a variety of sources, and are subject to change without notice. All media files on the Mobius International, Inc. are protected by © copyright laws. You may not, under any circumstances, reproduce, record, publish, publicly exhibit, or distribute any media files made available for playback on the Mobius International, Inc. without Mobius International, Inc. ’s express written consent, or the written consent of the publisher of the contend distributed and delivered by mobiworld.me. You may not link directly to any file located on a Mobius International, Inc. s server, and you should not attempt to "pass-off" any of Mobius International, Inc. content as your own work. The external sites linked from the Mobius International, Inc. are not under Mobius International, Inc. 's control, and Mobius International, Inc. does not assume any responsibility or liability for any communications or materials available at such linked sites. Mobius International, Inc. does not intend links on the Mobius International, Inc. to be referrals or endorsements of the linked entities, and are provided for convenience only. Mobius International, Inc. makes no warranty, representation or guaranty as to the content, sequence, accuracy, timeliness or completeness of the Information or that the Information may be relied upon for any reason. Mobius International, Inc. makes no warranty, representation or guaranty that the Information will be uninterrupted or error free or that any defects can be corrected. For purposes of this section, 'mobiworld.me’ shall include Mobius International, Inc. , Inc.., and its divisions, subsidiaries, successors, parent companies, and their employees, partners, principals, agents and representatives, and any third-party providers or sources of information or data. Under no circumstances shall Mobius International, Inc. be liable for any losses or damages whatsoever, whether in contract, tort or otherwise, from the use of, or reliance on, the Information, or from the use of the Internet generally. Copyright (c) Mobius International, Inc. and/or its licensors, 2010, all rights reserved. www.mobiusworld.me, and associated logos are trademarks of Sunkist® Energy. 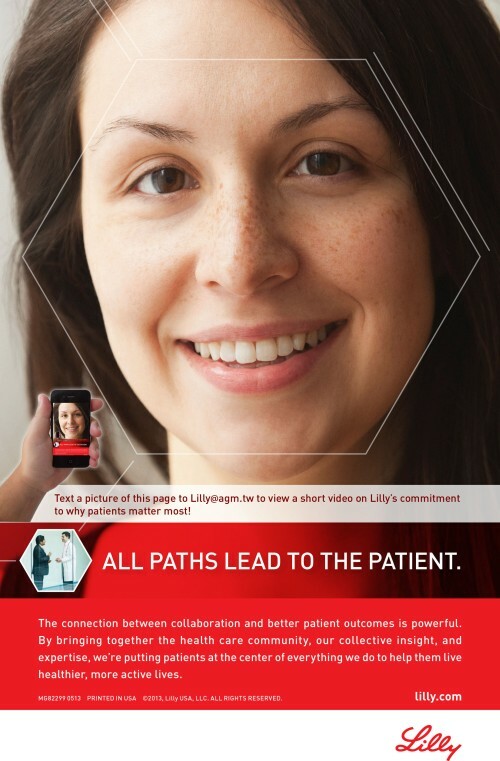 ("mobiworld.me"). Before using any Mobius International, Inc. Software Services Logo or trademark, please contact us. 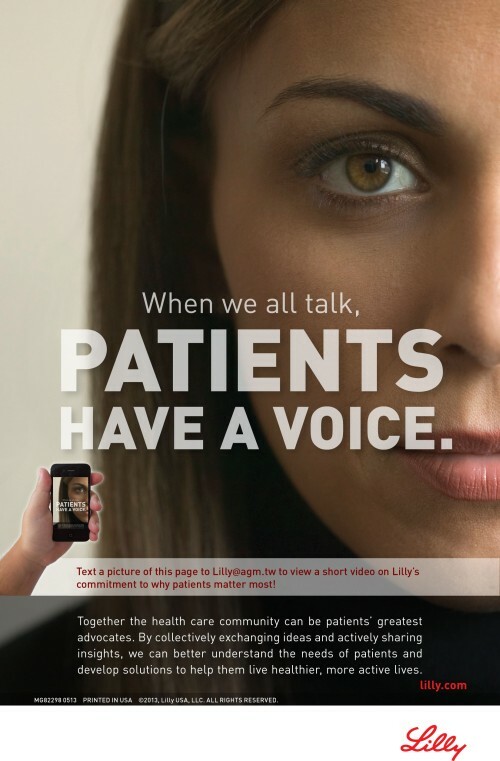 Text a picture of these ads to lilly@agm.tw to view a short video on Lilly's commitment to why patients matter most!